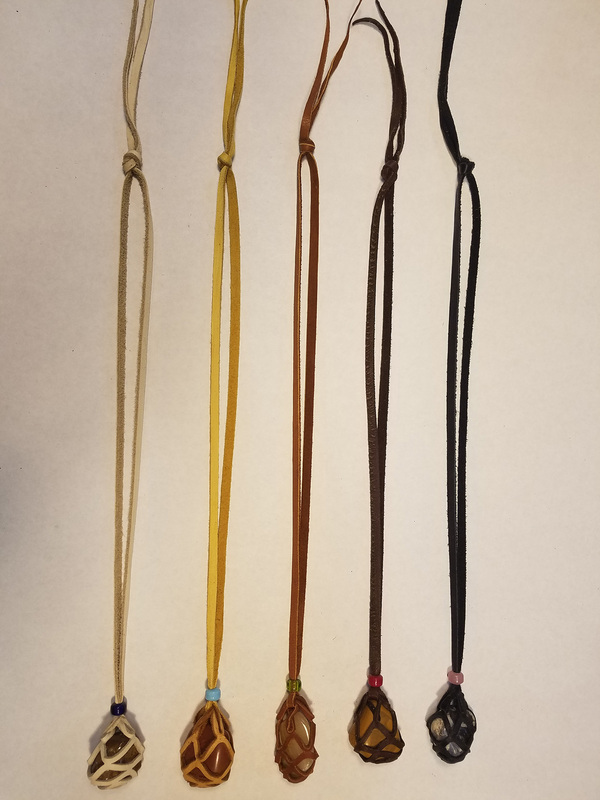 These are Arrowhead Pendants, “Not Artifacts”. I begin making these by wire wrapping the Hand Knapped Flint or Churt point with Sterling Silver wire. These are Arrowhead Pendants, “Not Artifacts”. I begin making these by wire wrapping the Hand Knapped Flint or Churt point with Sterling Silver wire. Then I string it on Hand cut Deer Hide lace and finish with a glass bead. 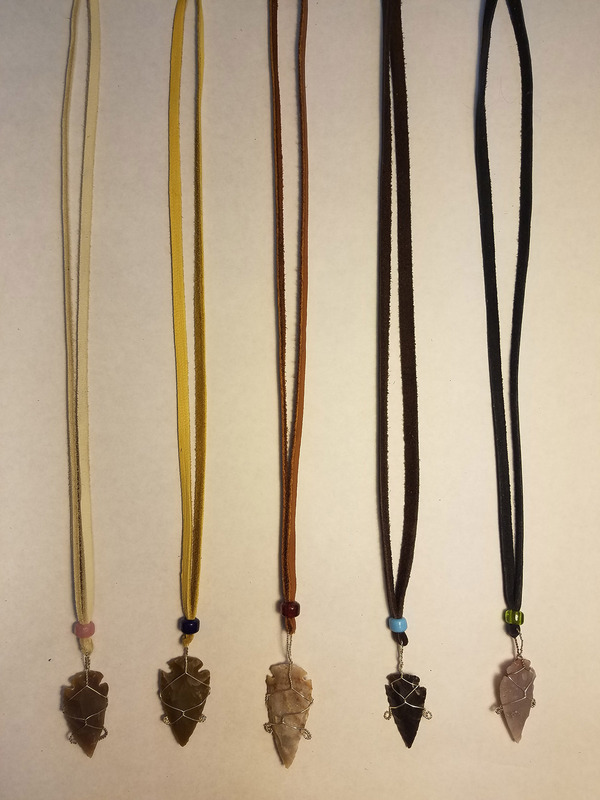 Choice of 5 earth tones and 5 colors of glass beads.